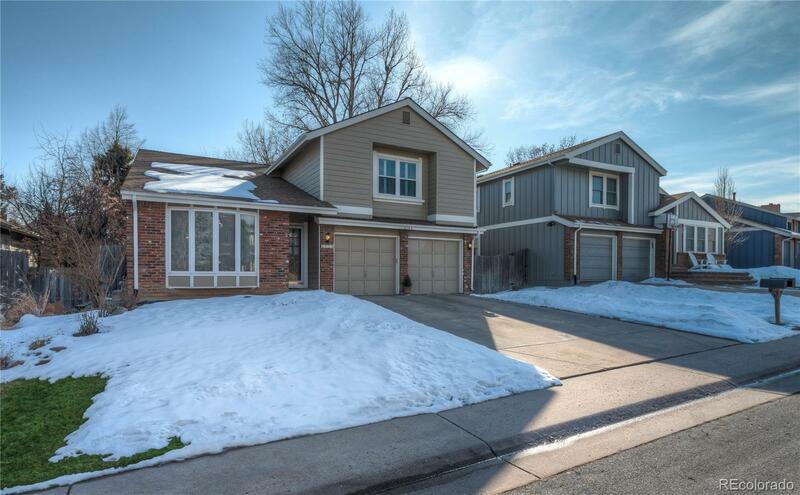 Great family home in the desirable Willow Creek neighborhood and Cherry Creek School District. Open plan with vaulted ceiling. This Dennison model has nearly 2600 square feet on the main and upper levels. 4 bedrooms up, plus a large open loft â perfect for desk, relaxing or play area. Many updates - bath, kitchen, roof, windows, gas fireplace, mechanical systems. Neighborhood organizes activities for residents and it is blocks to community pool, tennis, basketball, clubhouse and park. Convenient to shopping, restaurants and highway access. Minutes to Park Meadows. 2.5 miles to Dry Creek light rail station. A must see! Basement Ceiling Height: 7' 6"